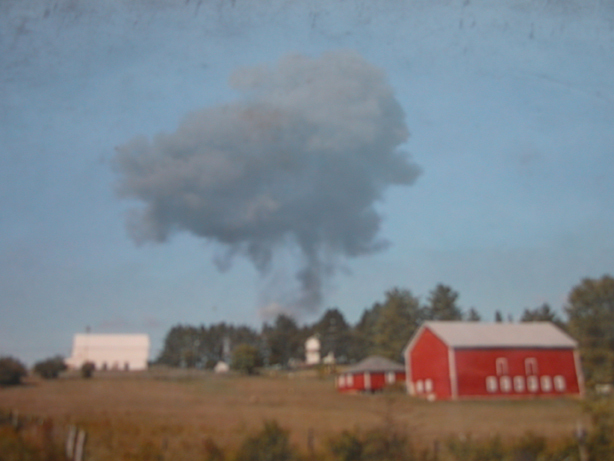 In September, 2001, United Airlines Flight #93 crashed just outside of Shanksvilles, Pennsylvania in an empty field near farms and homes. 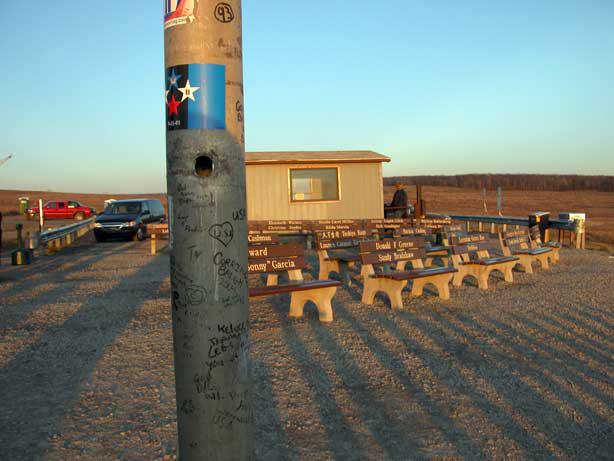 The force of the crash left little remaining of the plane and its passengers. 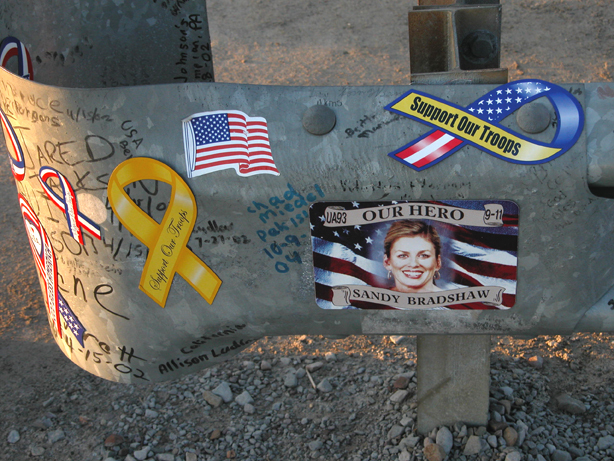 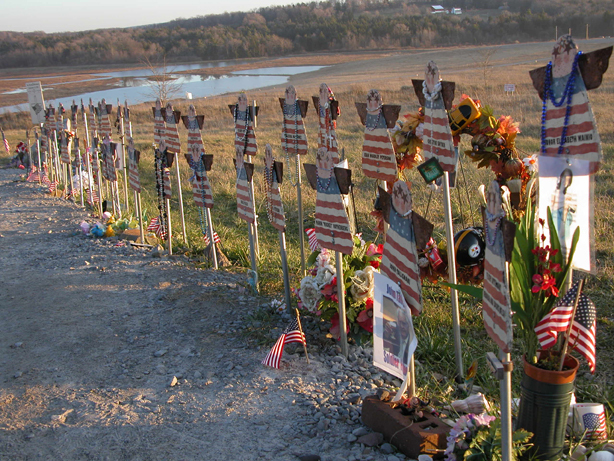 While immediate attention fixed on New York and the World Trade Center, the residents of the greater Shanksville area and the families of the Flight 93 passengers and crew faced the shock of the event, quietly mourned the loss of people on board Flight 93 and watched as the old mining community slowly came into world wide focus. 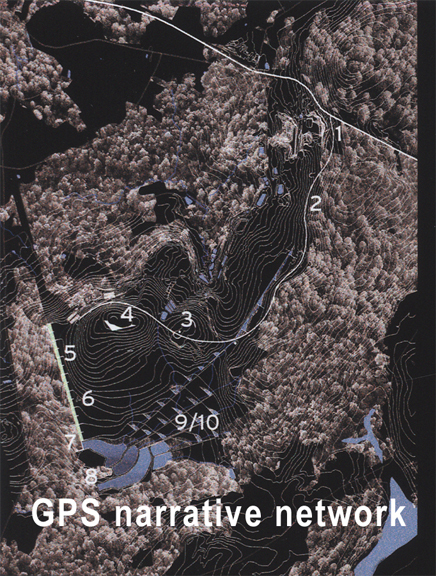 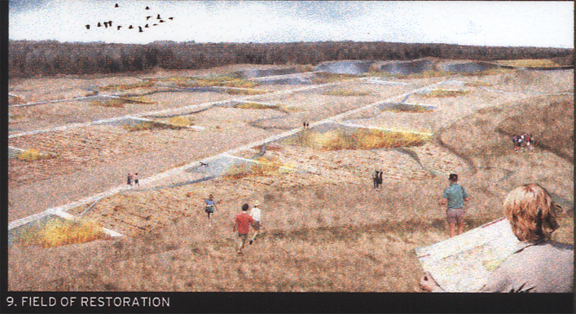 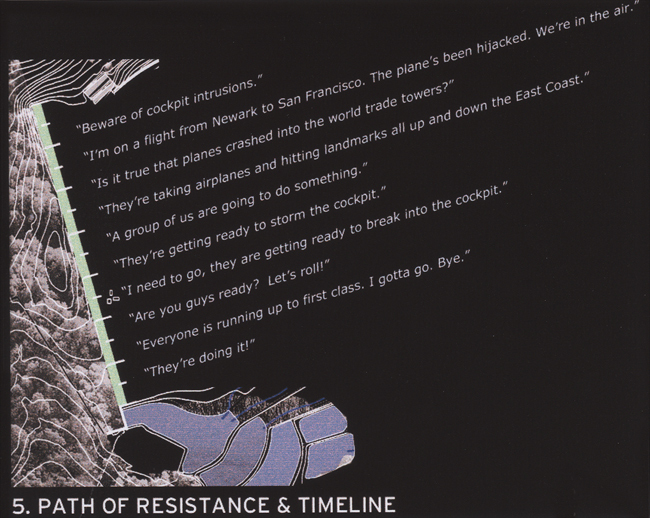 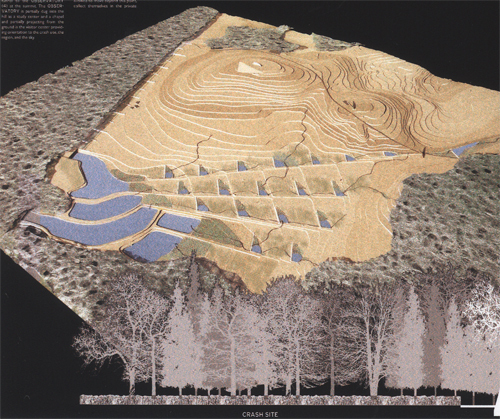 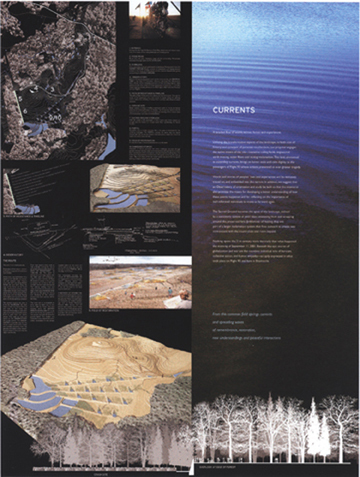 The proposal mapped the matrix of inter-related events, forces and experiences within the landscape using land restoration systems to transform and convert the pools filled with water runoff from past mining in the area, Global Positioning System satellites to create a walker controlled series of narratives that provided both context and nuances for events leading up to and following the events of the tragedy. 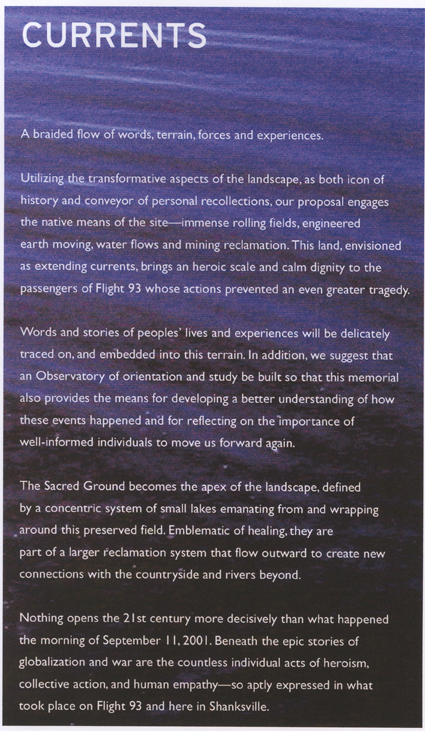 The site becomes a location of healing and restitution both metphorically and environmentally with words, and stories of peoples’ lives and experiences delicately etched and embedded into the terrain. 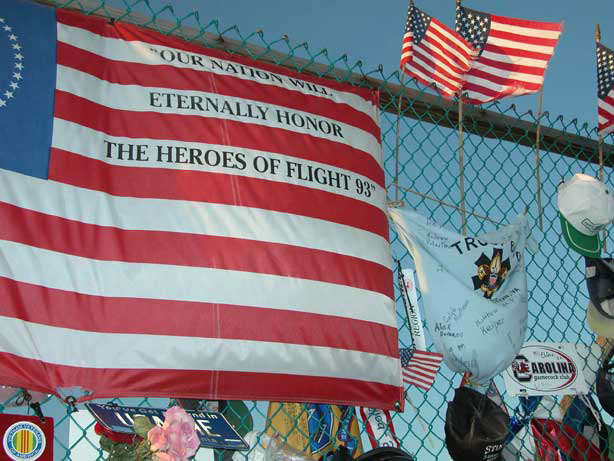 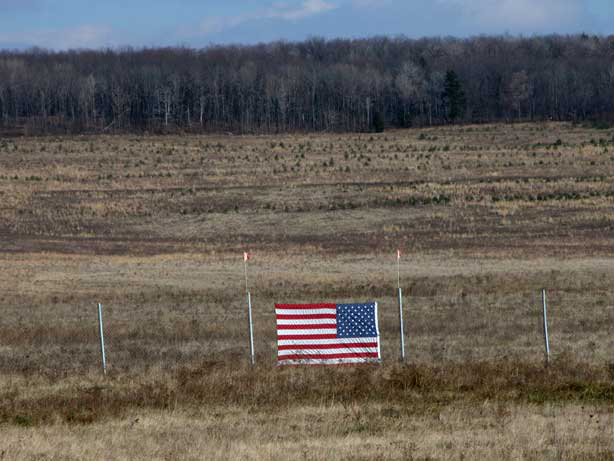 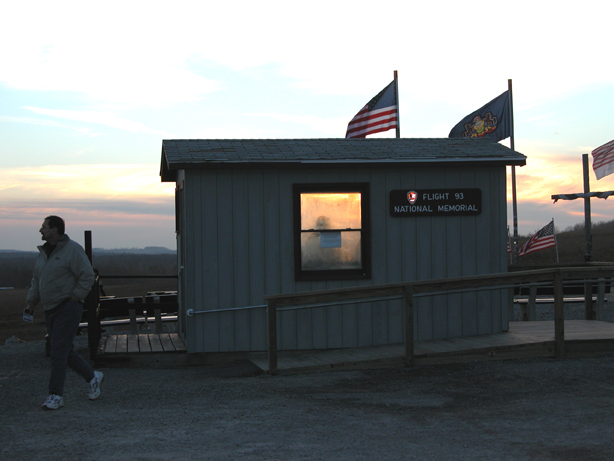 The proposal was submitted in response to a September, 2004 call for entries sponsored by the families of Flight 93, the Flight 93 Memorial Task Force, Advisory Commission and the National Parks Service.